Chris Brooks has a decade of experience coaching the Wing-T Offense for Youth Football. He is the creator of WingT-Football.com. 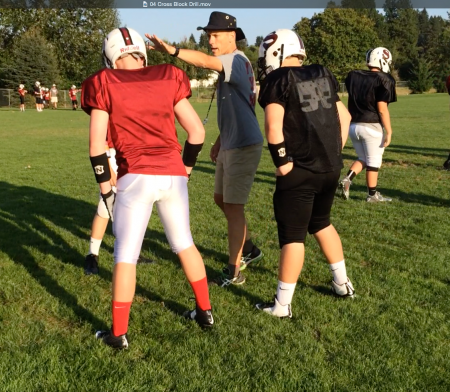 Chris has a Wing-T Football coaching pedigree that started with coaching the Youth program in Sherwood, Oregon. He learned the offense from the local High School coaches, who have over 20 years of experience with it. We’ll talk about how to create a mutually beneficial relationship between Youth and High School coaches in your area. We look at the Wing-T Offense, and the terminology involved. We also talk about specialization of athletes. When is it a good thing, when is it a bad thing? On Wednesday, May 11, 2016 at 9:00pm Eastern, 6:00pm Pacific, Coach Brooks will be hosting a JDFB Insider exclusive Web Clinic on the Wing-T Buck Series. Insiders can log in and sign up. Not a JDFB Insider yet? You should be. Click here to learn more.